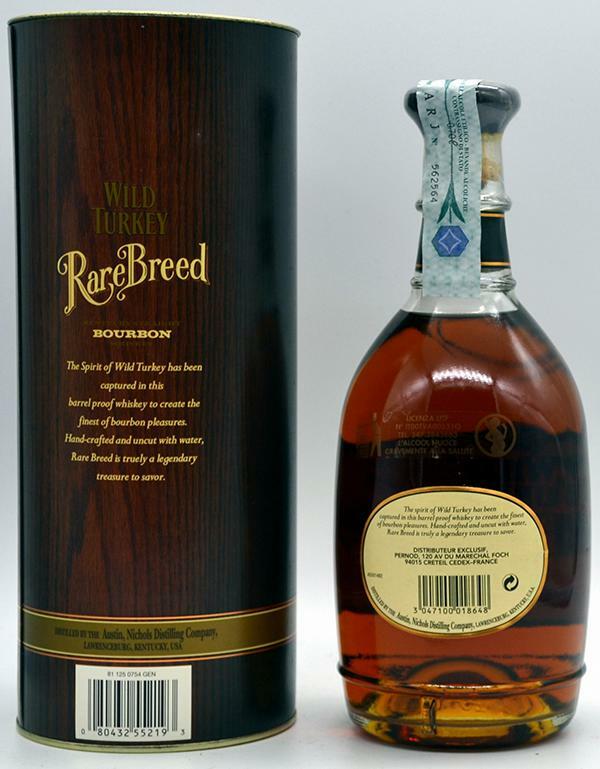 Wild Turkey Rare Breed "Barrel Proof" Batch WT-03RB 54.1% WID: 72526 (Small Snifter) Finally a horny bourbon! I do not buy the 54.1% from him. He is so smooth but really tasty. 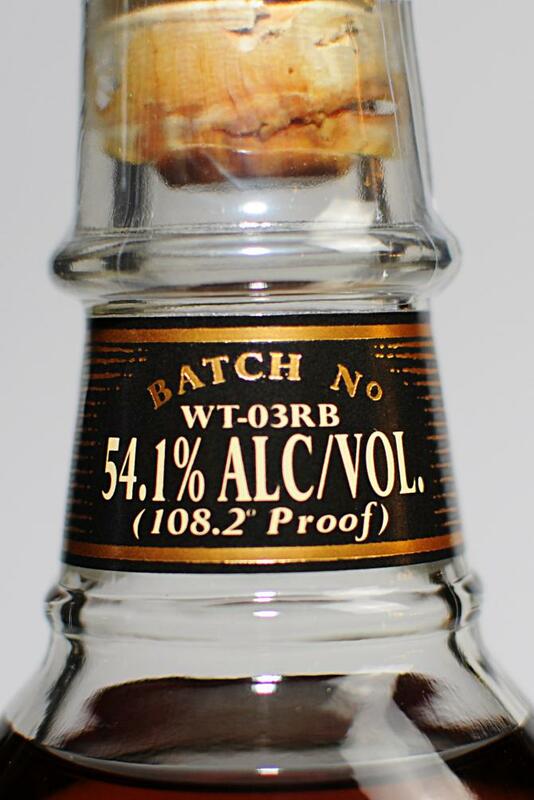 Only the slightly mellow finish reveals the high alcohol content. 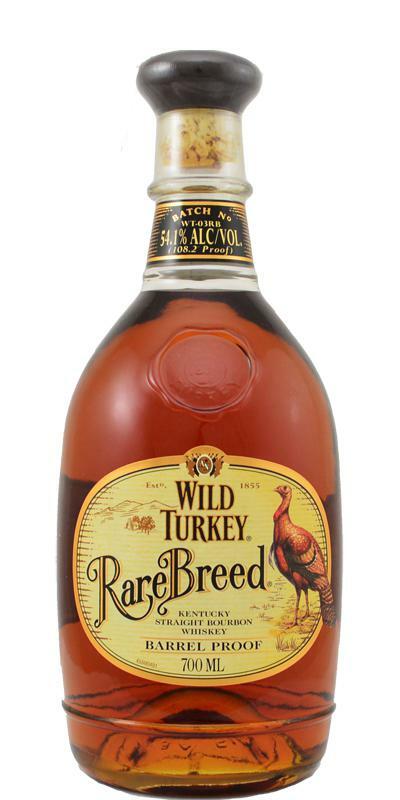 Next to Knob Creek one of the few bourbons I like. The empty glass smells so wonderfully of herbs and vanilla. I'll give it another minute. 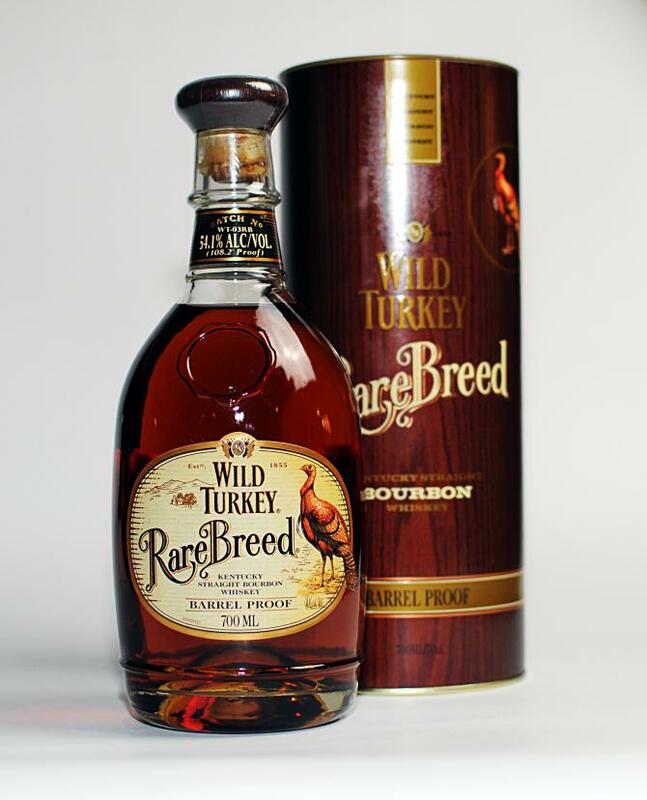 A good bourbon, I like it a lot, especially the smell, but it just can not keep up with the depth of a very good single malt. A mint leaf on a little piece of lemon, then the bourbon classics: vanilla and caramel. Oak wood underlines the nose wonderfully. Nuts and figs are very indistinct in the background. Fantastic. The mint and the lemon dominate in the beginning and are then gradually replaced by caramel and oak spice. Great finish. Long, spicy, vanilla and very very pleasant warmth. 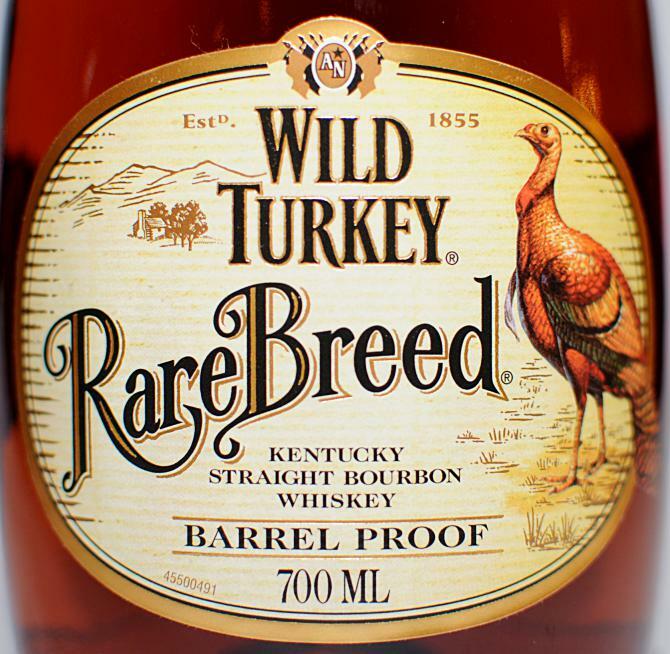 This is my favourite Bourbon. Very smooth, yet also very intense. Great combo! 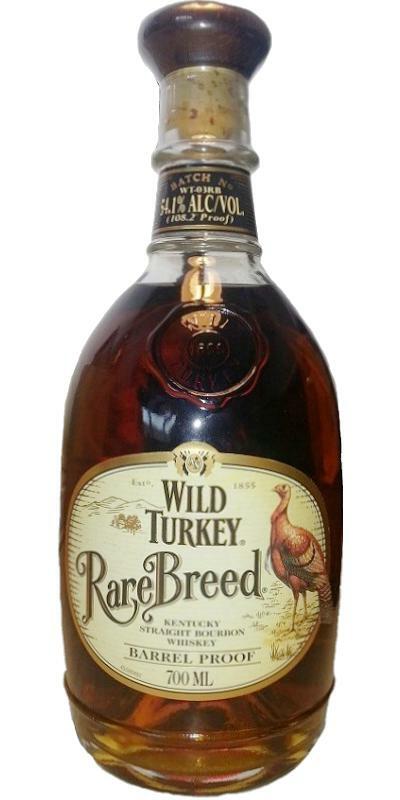 Wild Turkey at its best! Read a lot about this whiskey and heard a lot about this whiskey so naturally it was on my wish list, and again I wasn't disappointed. This was a dream to drink and I was gutted when the last drop came out of the bottle. At this moment in time it's the second best Bourbon I have ever tasted. Fantastic and not that expensive. Top draw bourbon. I saw this in the shop and it was the last one. Had to have it. A lovely strong and sweet nose here of Vanilla, Black Current ,Raspberry and Red currents. A dash of Cinnamon and a chunk of old rope. Nice and thick and oily. Black cherry and Logan berry straight away then the ripe Plum hits hard, followed by Butterscotch and Bazooka Joe Gum. Very sweet and soft, then spicy fresh oak before the alcohol kicks in. Quite unexpected. Would have thought that the alcohol would be stronger. Usually I associate the smell of Bourbon with smelling at a tube of adhesive (sorry to all Bourbon fans), but this one is different. There is vanilla, honey and cinamom. The alcohol also adds a peppery note. Sweet and mouthcoating. Alcohol becoming stronger. Spicy, rich oak which becomes kinda bitter. Therefore an association of coffee and leather. Some raisins and a allspice (cloves). Kinda long finish. Ending with nuts and a very strange, unknown touch. Could be the coconut as someone described it earlier. This one`s got a great nose to it. Adding some water definitely wakes it up. 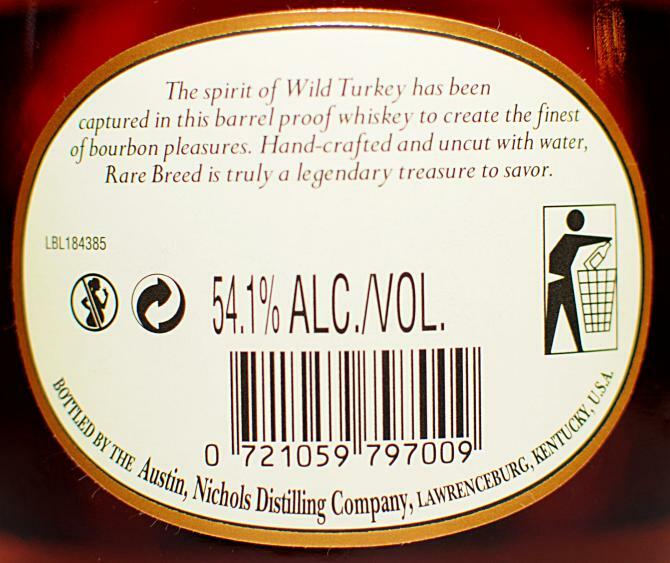 The most outstanding thing about this bourbon to me is its extraordinary chewyness. It really feels like you`re chewing on something more than a liquid. Great body and amazing finish. I`m referring to Batch WT-03-RB with my review.